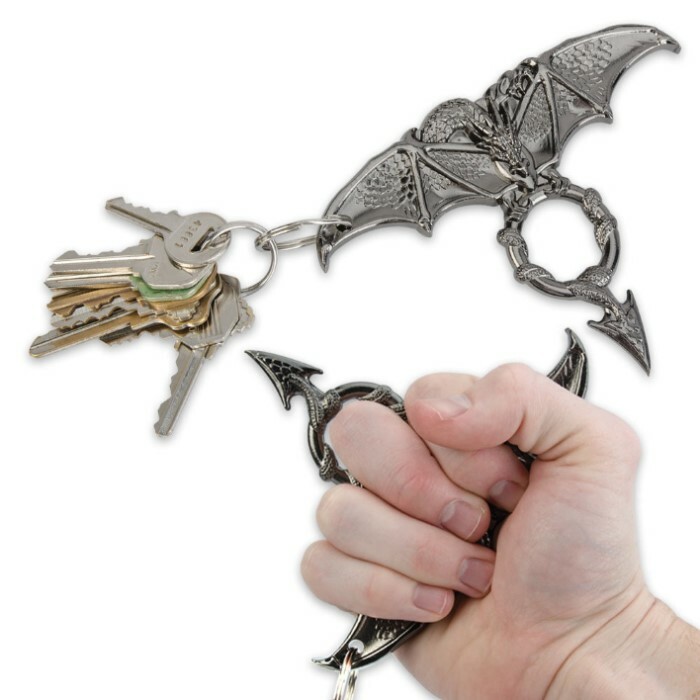 This winged wonder will swoop in when you call, providing you with wicked self-defense options. The solid cast zinc aluminum construction has a smooth finish. The built-in finger hole allows you to position it for defense. 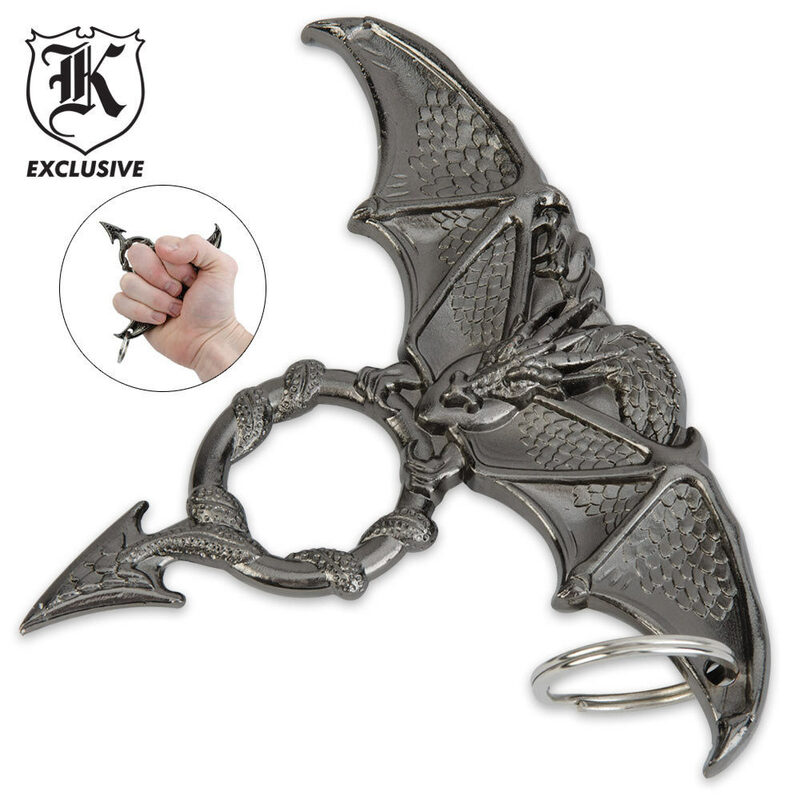 This is the best kubaton out their, and is similar to brass knuckles. The "tail" spike isn't sharp, but very pointy. Used it to bust a glass bottle, took a few hits and slightly dented the tip, but it still works 100% fine. Comfortable, useful, cheap, fun, somewhat gothic looking. 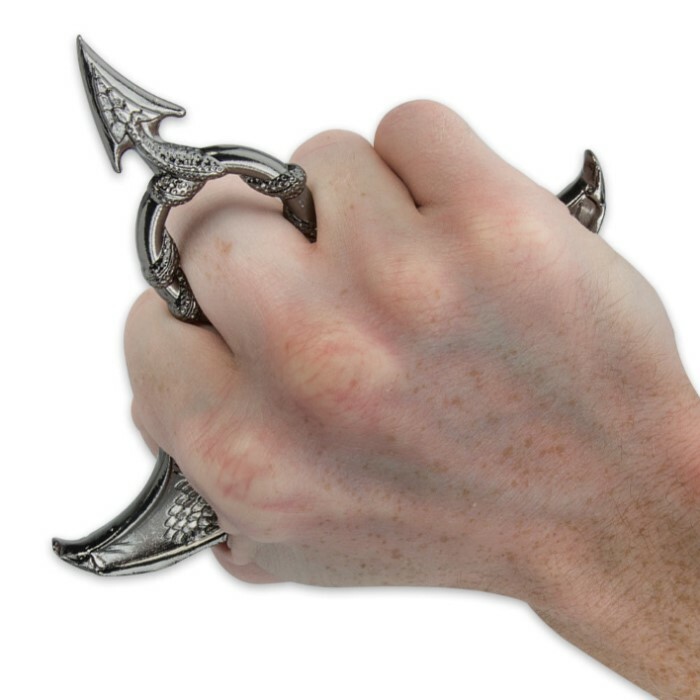 If you are looking for a self defense peice, this is it. Beautiful and a get defense tool.